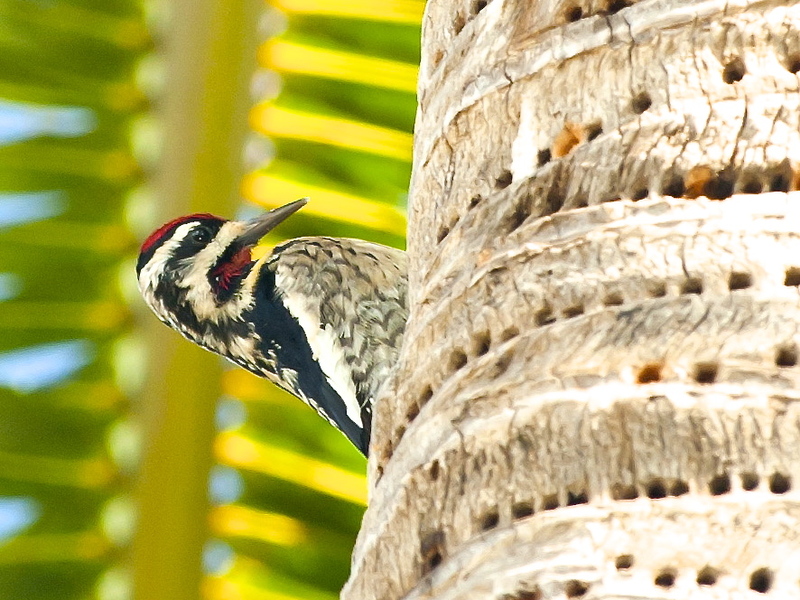 Abaco has two permanently resident woodpecker species, the WEST INDIAN WOODPECKER and the HAIRY WOODPECKER. 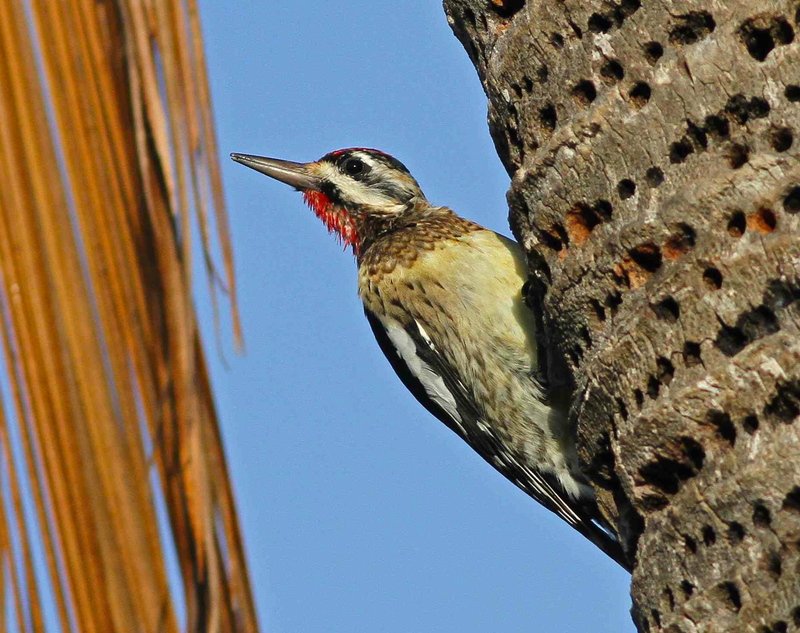 There is a third, migratory woodpecker species that is a fairly common winter resident, the yellow-bellied sapsucker Sphyrapicus varius. 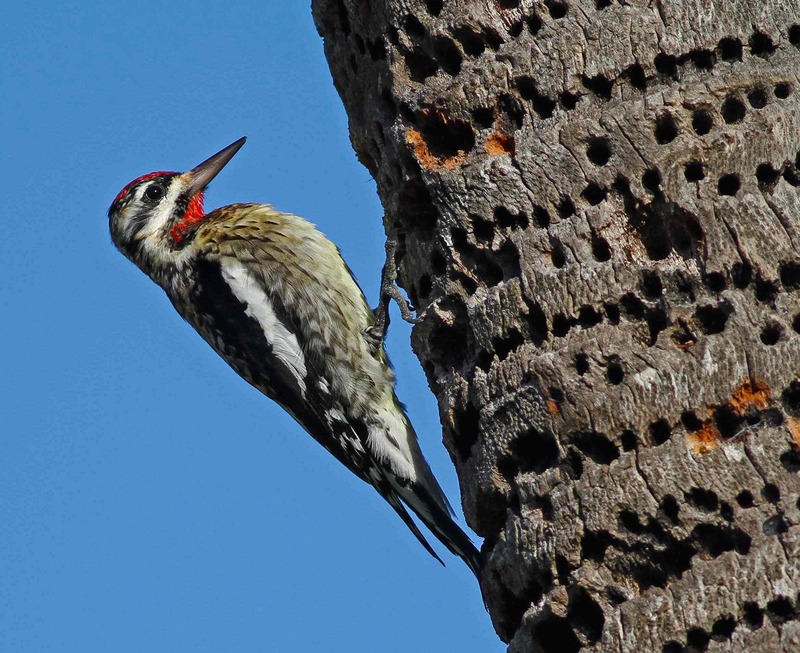 Like its woodpecker cousins, the sapsucker drills holes in trees (see below). The dual purpose is to release the sap, which it eats, and to attract insects that it also eats. A two-course meal, if you like. They’ll also eat insects on an undrilled tree, and even ‘hawk’ for them in flight. They balance their diet with fruit and berries. The distinctive patterns of sapsucker holes may completely encircle the trunk of a tree with almost mathematical precision. This is sometimes described as ‘girdling’ and may have a damaging effect on a tree, sometimes even killing it if the bark is severely harmed. This may require preventive measures in orchards for example, though note that in the US Yellow-bellied Sapsuckers are listed and protected under the Migratory Bird Treaty Act so radical action is prohibited. 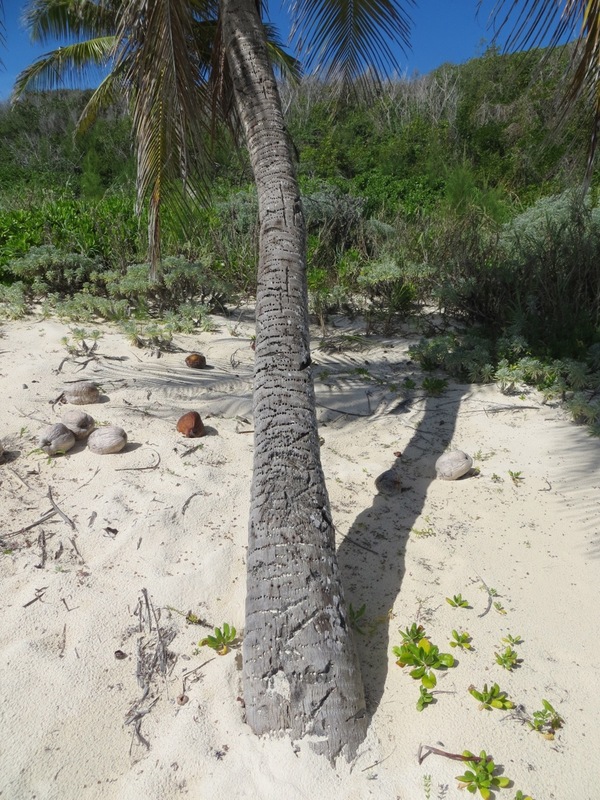 On Abaco, palms are a favourite tree for the sapsuckers. 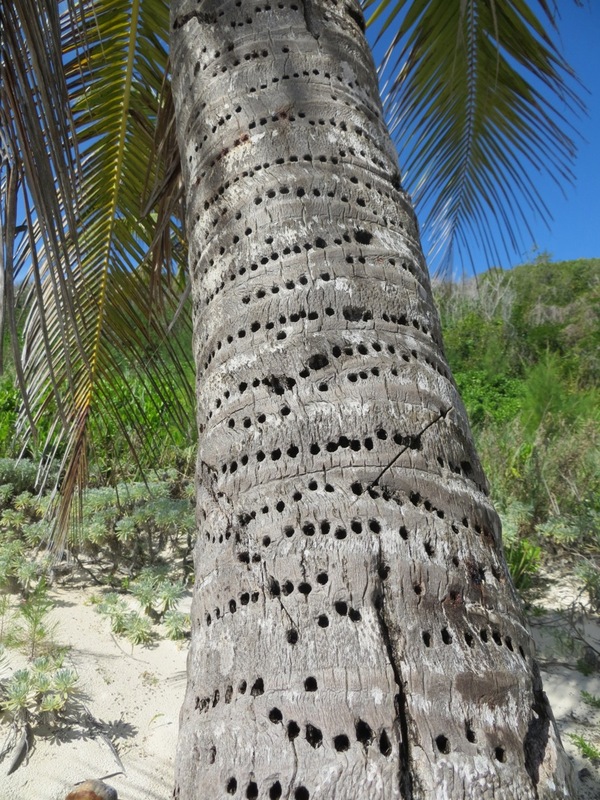 There are several palms along the Delphi beach, and this year I noted that one coconut palm in particular had seen plenty of sapsucker action, with the drill holes girdling the entire trunk from top to bottom.